Wealth Words - Could Daily Crossword Puzzles Get Any Better? Wealth Words is a crossword game that doesn’t require any introduction anymore. Well, its figures speak for itself. 2100 active players and a website visit of a whopping 627,40 in a short span of one year. Isn’t it speaking volumes about its popularity? It undoubtedly is. 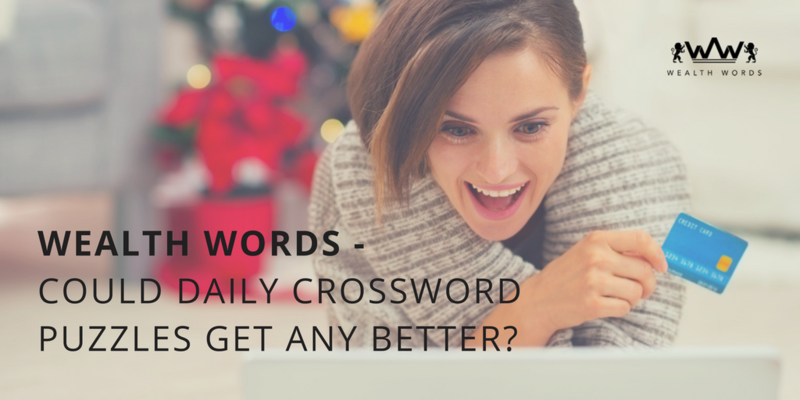 In fact, it wouldn’t be wrong to say that it has taken the world of crosswords a level up by transforming it into an online real money earning game. After all, earlier crosswords were just about playing a game or two of it in Sunday magazines and newspapers while being applauded once in a while for cracking its puzzles. Sure, it was fun, entertaining and educative but, that’s about it. It didn’t have anything else to offer. And, we all know, no matter how good a game is, it loses its charm if it becomes monotonous. So, yes! Wealth Words have revived the old school crosswords in a new avatar and it is totally mind blowing. Not only you can access it just through a single tap on any of your digital device but, also make money out of it. How cool does that sound? Daily crossword puzzles literally couldn’t get any better, for sure! So, is the crossword aficionado within you dying to take the number of players at Wealth Words from 1500 to 1501? Do you want to be a part of this crossword bandwagon too? Well, if unleashing your inner wordsmith is what you need, if your idea of fun and rejuvenation lies in the world of words, it’s high time you register at the Wealth Words website and showcase your word power to the world. Excited already? Well, your excitement might just double up when you hear about the cash prizes this crossword puzzle game distributes amidst its players. Yes, it’s as high as a whopping $1600. Now, isn’t that too much for a simple game of words? Well, that’s how Wealth Words is – amazing and oh-so-enticing. But, hey! that’s not where the cash prizes ends. In fact it begins here. This crossword puzzle game consists of divisional games too where real money is awarded in the form of division 1 and division 2. While winning the division 1 cash prizes requires you to crack all of its 20 puzzles right, the division 2 cash prizes can be acquired by cracking the second highest correct puzzles. So, you see, how anyone and everyone gets a chance to win big here? Isn’t that amazing? Hence, if you want to drive through the intriguing world of Wealth Words, register at its website now. Login through Facebook or any of your email id and you are good to play this crossword game. 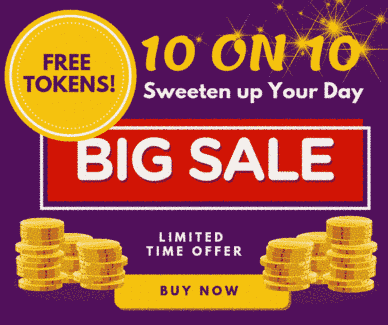 However, you must buy tokens worth $2 each to indulge in its extensive puzzling session. Well, it’s a meagre amount compared to the cash prizes it bestows its players with, isn’t it? Up for a interesting game at Wealth Words? You better give your best puzzling shot here and laugh all the way to bank as your Paypal account gets flooded with enormous cash prizes. All the best, folks!